Facenda, Tommy "Bubba" / "Clapper Boy"
Born Born Charles Arthur Feathers, June 12, 1932, Myrtle near Holly Springs, Mississippi. Died 1998. Listed in Memphis City directory 1955 as full time musician. 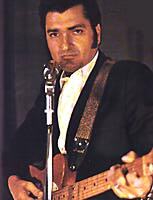 Recorded for Sun and Flip in hillbilly style but is most famous for his rockabilly recordings with Meteor, King, Kay, Memphis and Redneck. Has also recorded for Ace, Hi, Walmay, Philwood, Shelby Co., Barrelhouse, EMI-Harvest, Rollin¹ Rock and Vetco. Has used pseudonyms such as Charlie Morgan and Jess Hooper. In 1973 he began to play regularly with his family band at Harpers Lounge in Memphis where he was filmed by the BBC (England) as part of a documentary on the creators of popular music. MORE: Although rockabilly pioneer Charlie Feathers never achieved commercial success, he was present at the creation of the form. Feathers himself hints that a mysterious, undisclosed "conspiracy" denied him maintstream fame; today he is a cult legend., living in Memphis in a little house with a white picket fence. Charlie loves to sit on his front porch, chewing and spitting tobacco. Raised on a farm, Feathers quit school after the third grade, learned guitar from a black sharecropper, and worked on oil pipelines in Illinois and Texas as a teen. Moving to Memphis at 18, he contracted spinal meningitis and spent months bedridden, listening to the radio. Upon recuperating he concentrated on music. 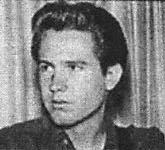 Feathers later claimed that he spent a great deal of time in the mid-Fifties at Sam Phillips' Sun studios, arranging some of Elvis Presley's early material. Though most of Feathers' assertions have been unsubstantiated, he did co-write Presley's "I Forgot to Remember to Forget" (#1 C&W, 1955). 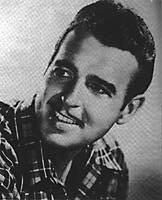 That year, his own debut single on Flip, "I've Been Deceived," showed the influence of Hank Williams, and from then until 1959, he recorded for Sun and smaller labels (King, Kay, and Walmay among them). Such singles as "Tongue-Tied Jill" and "Get With It" did little on the charts, but Feathers persevered, playing local roadhouses until gaining, in 1977, a gig at London's Rainbow Theatre that drew raves from rockabilly revivalists. In the late Seventies, Feathers got the financial backing to start his own short-lived record label, Feathers, upon which he released a couple of albums and several singles. Frequently comic in tone his work was often straightforwardly country, but with 1991's "Charlie Feathers" (his only major label release) and the critical praise it provoked, it seemed apparent that Feathers will be remembered essentially as a great, early, if not widely known, rocker. There is a excellent display on Charlie's memorbilia at the Memphis Music Museum on 2nd St., downtown Memphis. Born November 11, Keiser, Arkansas. Learned music in high school and recalled: 'I listened to most all country artists on the radio. Hank Snow I liked and Johnny Ray in pop.' 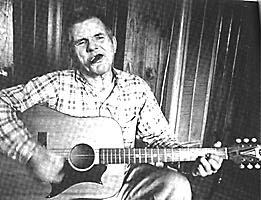 Moved to Malden, Missouri, where he knew Bill Rice, Jerry Foster and John Hartford. Recorded for Sun 1957 but sessions unissued. Continued in country and popluar music with Pink, Mercury, Hi, M-G-M, Renay, RCA, ARA but his biggest hit was Honey Love (Pink 702) which was recorded in Memphis. He has been a successful country artist and has reworked R&B standards for the country market including Drift Away and Reconsider Me. A northern based doo-wop group who were the only black vocal group (apart from the Prisonaires) to have a record issued on Sun in the '50s. Group comprised of Melvin Walker, Melvin Jones, Haywood Hebron and Luchrie Jordan. Sun #222 recorded May 25, 1955 with instrumental support from Calvin and Phineas Newborn, Moses Reed, Jewell Briscoe, Robert Garner and Robert Banks. Born October 11, 1908, Tacapola Mississippi. Played medicine shows throughout South in talking blues style mixed with hillbilly and pop. 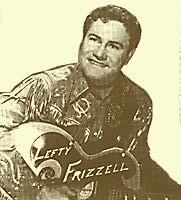 Settled in Memphis as a part time pig farmer in 1950 and became a radio favorite with the Eddie Hill Band. Lived in Memphis intermittently until 1972 when he moved to Cincinnati. The he played the college curcuit with blues and folk musicians. Born April 15, 1936, Auvergne, Arkansas. Guitar, harmonica and vocalist. 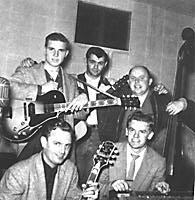 First played with guitarist Jack Johnson and drummer Sam Carr in St. Louis in 1957. Carr is the son of delta musician Robert Nighthawk, from whom Frost¹s band and style is descended. Recorded by Scotty Moore for Phillips Int. in 1962 and Jewel in 1965, having also played dates with Sun artists Carl Perkins and Carl Mann in the early 60s. Had a compilation album issued by Jewel 1973.